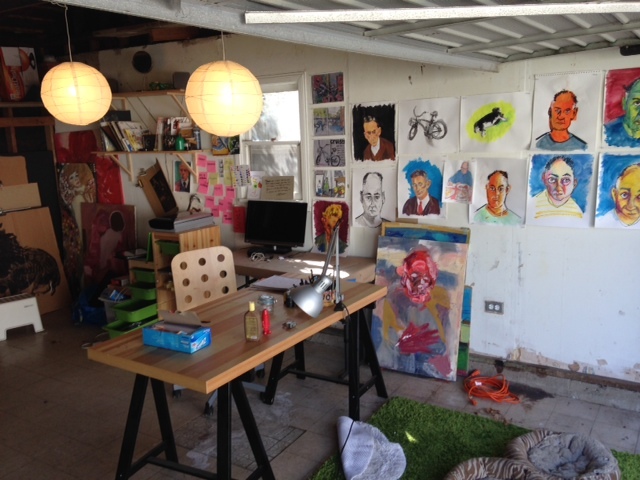 I finished cleaning out my studio today, this old garage in which I’ve I spent much of the last eleven months. I felt a bit melancholy as I swept it out and locked the door for good. I came here last autumn not knowing what I was doing or what might become of me, but I felt I needed a place to do it in. And I’ve done quite a bit between these three walls. 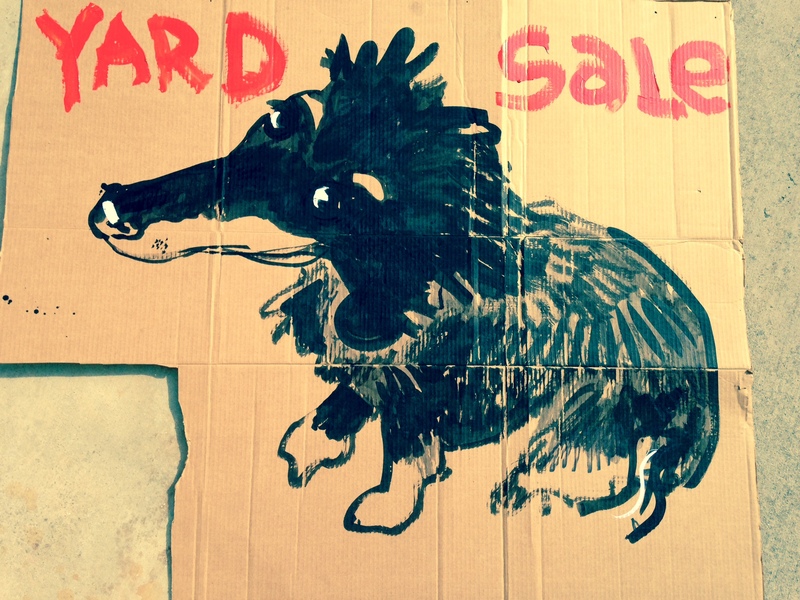 I picked up a brush again and made forty feet of paintings. I wrote and illustrated a book. And started another. I wrote, shot, and edited films in here. I read books. I thought. I napped. 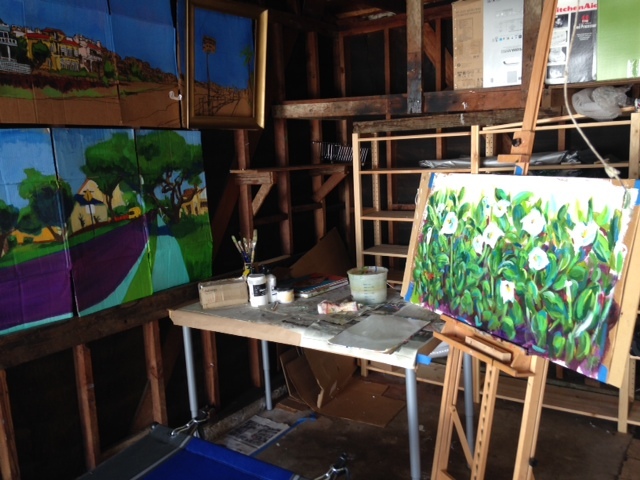 And we started Sketchbook Skool out of this garage, like real West Coast entrepreneurs. Maybe they’ll put up a plaque. And now, concrete and wood, it’s going back to being a garage again. But me, I’m not going back to what I was. Next Post Images from the road. Are you going home or just visiting? Whatever it is I wish you the best. Relish the journey, as I know you will. Enjoy every moment of your journey, Danny and Jenny. Safe travels and blue skies. Perhaps the next time I am in NYC I will be able to personally thank you for so many years of inspiration and generosity of spirit and life. I always look for you in Washington Square (though on my last visit it was teeming with happy Krishnas!). My chances have now increased. Have a safe – and illustrated – journey! Wishing you magical adventures ahead. I knew something was up with you. I was afraid you were leaving LA alone and heart broken. Glad to hear that’s not the case. I hope CA was good to you both. Traveling mercies. Jenny, I live on the road now… left New York City five years ago. However, when you get there, welcome. The heart never leaves. http://www.placesandplatypie.com/archives/111011_GoingHome.html. Enjoy the trip east… go slowly. I like a lot : “And now, concrete and wood, it’s going back to being a garage again. But me, I’m not going back to what I was” !!! 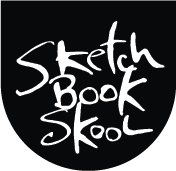 I don’t know what you were before, but I like what you do, also what I saw sketching book school. the video is very good! Have a noce trip and : “see you soon”! Are you moving back to New York? I also panicked a bit when I saw the title Farewell…but I think it means farewell to the garage studio and California and Hello New York. I’m going to ask Tommy. Maybe he’ll tell us more. Ha ha The road trip sounds wonderful and a great opportunity to relax a bit and sketch…don’t forget to sketch. You will be traveling an iconic road, which I’m sure will inspire you–the significance of what it was, and now the significance of what it means to you. You are experiencing some personal upheaval, but at least you will never regret that you didn’t give CA a whirl. i (a native New Yorker, and now New Jerseyan) have been to LA and San Diego (granted, as a tourist). Sure, the weather is great. But honestly, California strikes me as it should be its own country. I think all that sun is not always so good. Enjoy a safe, leisurely, interesting ride back home. Lots of marvelous stuff happened! It can happen anywhere, garage or in-house studio! But you were there…that is the magic! Thanks for all you did and shared with us! Happy, safe journey across the land to both you and Jenny and the doggies!…..ooooo, ya’ gotta draw along Rt 66! Happy homecoming to NYC and all you will do there! Cheers! “Wherever you go, there you are!” Enjoy your adventure. Congrats on all you accomplished & best wishes on your future endeavors! We’ll wave as you drive by us on Rte 66! Keep on “truckin'” and enjoy the journey. I’ll continue to follow you to the ends of the earth. I’m not going back to what I was either. Soon. Guess you were not able to become a California guy… so cal is a very strange place especially for a city boy like yourself. Safe travels and we will see you on the other side! Safe travels and make sure “you get your kicks on Route 66”. I personally have traveled much of the route and it will be a sketch bookers dream. Make sure you get off of I-40 and go the back way into some of the small town in Arizona and New Mexico. Indian Country. Have a great adventure. The molecules in that garage are undeniably different now, thanks to the fact that you’d occupied the space and the unique nature of your occupancy. I honestly believe that there’s a life force in the way you’re living your days, that so many of us have benefitted from and will continue to, as will you and Jenny. I’m grateful that it matters to you that we all join you in the fun and hyjinx, in whatever way we’re able to do that in our own respective corners of the world, and that you’ve made it your mission to broker so many of us in connecting in a primary way with that portal ourselves. Continued rich adventure to you and Jenny. If you’ve never read The Art of Travel by Alain de Botton, this might be a good time. I think you might like it. Best of wishes to you and Jenny on your travels to N.Y. I live in Cedar Crest, NM, just off Rt. 66….I’ll wave to you. I’m enjoying Sketchbook Skool and what you’ve taught me. Looking forward to more skool with you. Of all the things you accomplished in your California studio, I can’t believe you actually had time to nap!! All the best to you and Jenny on your trip. Should be quite the adventure and a great way to transition back to your life in New York. I hope you’ll be sharing a bit about what it’s like for you to be back “home.” I so enjoyed your posts on your impressions and experiences when you first arrived in California. Especially through the eyes of your pups in your “Yard Dogs” post. Delightful. Looking forward to your new book. Get your kicks….on Route 66. I’ve done a bit of that route…spent some time in lovely Seligman AZ ( home of the Road Kill Cafe) doing some archeology work with rock art. As I recall it was HOT! And not much going on there. Give it a wave for me if you go through. I think there’s a Route 66 museum in Victorville, CA if you really want to know something about it. Sorry you’re leaving our sunny state….think of us next winter. Have fun. Wow! Enjoy your journey. I wish you safe travels, and will anxiously await “what’s next”! Enjoy your trip Danny. You gave SoCal a go….it’s beautiful there, but very different from the east coast. (I know, I’m east coast born, 24 years in CA, and back to the east again). Of course I’m excited because you’re within driving distance….more chance for a workshop! Big sigh of relief that this is only a “see ya later” and not good-bye. I have dived back into The Creative License this summer, and I do not exaggerate when I say that has had a huge impact on my drawing/watercolors ( am stopping short of saying “life-changing”‘ but it sorta was, in fact.) It gave me the courage to start my journal again, and do at least a drawing a day. Thanks and good luck! Are the puppies traveling with you? I just got back from a road trip and was pleased to see so many pet friendly traveler amenities now. One of the many blog entries that i enjoyed reading was your farewell/homage to NYC and what life will be like in LA. And now, great news, you’re coming back to the ‘big city’. Wherever you are you’ll be creating. Welcome home.